I’ve been gone for a while because there’s been some pretty important stuff happening lately. Most importantly, I HAVE FINISHED MY DEGREE! Yesterday I handed in my final essay and just like that my time as a UEA student is done. The night before I was in bed and I suddenly had a flashback to my first night at uni – lying in bed thinking about how this new important step of my life was just beginning. I can’t really quite believe that it’s over already! 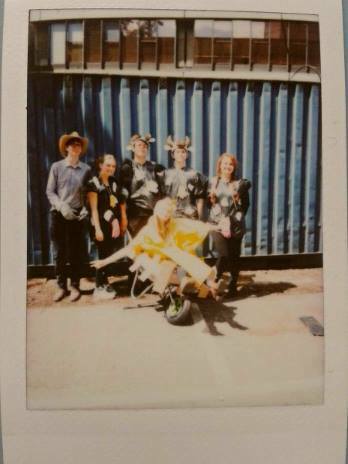 To celebrate, my friends and I congregated in the square outside the SU and sunbathed, drank pimms, and generally enjoyed not having any deadlines to worry about. Because I’ve been working pretty hard over the past few weeks I’ve had to miss out on things like this year’s ‘Pimp My Barrow’ (see here for more info if you hadn’t heard of PMB before) but I was still able to swing by and see it for 10 minutes or so on my way to the library. This was from ‘early’ in the day! The next few weeks are going to be a race to do everything in Norwich that I’ve wanted to see/try but never gotten around to, such as the Plantation Gardens. It also alarms me how many of my Norwich Bucket List items involve trying different food establishments. My tenancy ends in mid-June so I’ll be moving back home before graduation and then coming back for Grad Week; hopefully staying on the floor of a friend’s place as quite a few of them are staying in Norwich. I’m a strange mixture of devastated to be leaving Norwich but also ready to go – and I’m still trying to understand how I can be both simultaneously. But this fine city has been very good to me so I am glad that with my friends staying here I will have good cause to return. 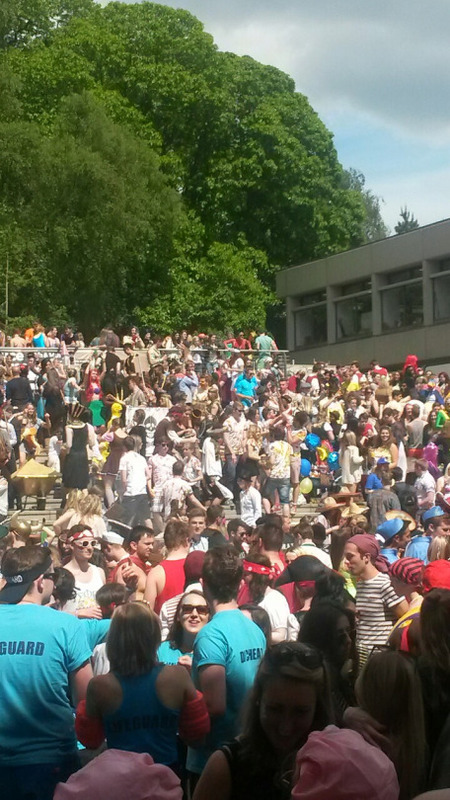 UEA is a university with few traditions. We are relatively new on the scene compared to some universities and pride ourselves on our lack of stuffiness and formality. However, we do have two great occasions – Derby Day, and Pimp My Barrow, the second of which took place this Saturday. What on earth does this involve you ask? Well, as the name suggests, the pimping, or dressing up, of wheelbarrows is the main feature of the day, followed by a pub crawl through Norwich. 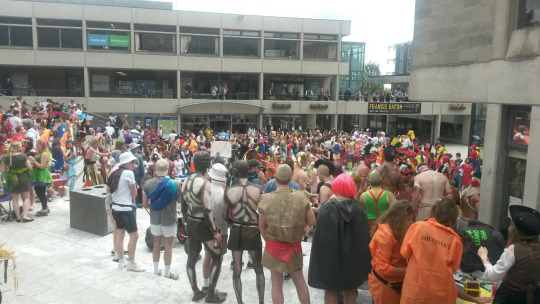 Teams congregate in the square from midday, dressed up in costumes such as Disney Villains and the Avengers – one of the prize winning barrows this year was done up to look like the van from ‘Only Fools and Horses’. We are then set off in waves throughout the afternoon, moving from pub to pub, and trying to not obstruct traffic. The main purpose of the day is to raise money for Big C, a local cancer charity. However, as it falls at the end of the year it also functions as a mass letting off of steam. Hopefully the pictures in this post will convey something of the atmosphere on campus. The standard of the costumes was very high and the dedication from some teams was astounding. As a university we also raised a lot of money, I believe the figure was somewhere near £10,000 but I can’t find the official statistics so please take that number with a pinch of salt. To anybody who wasn’t involved this year I would recommend trying to get tickets next year; with a good set of costumes and an even better set of friends, it’s a great laugh.